Offering you a complete choice of products which include pvc pipe cutter, plastic pipe cutter and plastic pipe cutting tool. 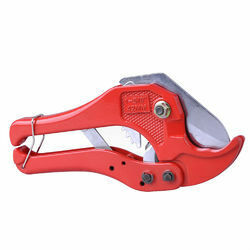 AKIRA is into Manufacturing and supply of high end PVC Pipe Cutter for cutting Plastic Pipes ranging to 1 Inch and below. These cutters are used to give smooth finishing and proper alignment to Pipes for leak proof weld and aesthetic look. 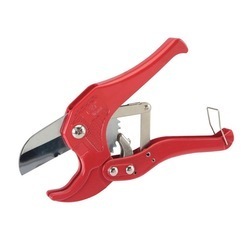 AKIRA is into Manufacturing and Supply of Plastic Pipe Cutter for cutting lower Dia Plastic Pipes which includes PVC Pipe Cutter, UPVC Pipe Cutter, CPVC Pipe Cutter, PEX Pipe Cutter, PE-AL-PE Pipe Cutter etc. AKIRA Make cutter are high grade cutter with ultra edge Blade cutting technology gear type for smooth finishing and hassle free cutting.